It’s no new revelation — in today’s modern world the average person looks at their cell phone 46 times during the day. And that number is probably on the low end for a lot of busy people. Texting has quickly become the platform that people across all generations are accustomed to and comfortable with. Isn’t it time that you reach your customers where they want to be reached? Nearly 90 percent of consumers prefer communicating via text messaging, but unfortunately only 48 percent of business currently offer text messaging services. Texting is the new standard for customer communication. 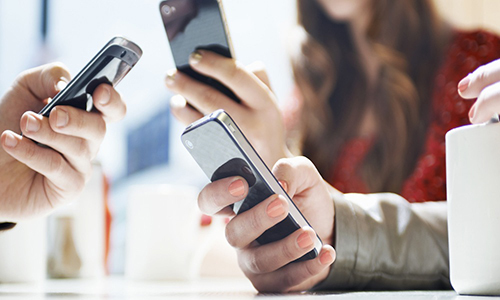 If your dealership is not currently offering texting to your customers, you could be losing them to the competition. Texting is a fast, effective way for service departments to communicate, receive faster approvals (and in turn, shorten the vehicle repair cycle), enhance customer satisfaction and shop productivity, and increase customer loyalty and retention. When used properly, it can even help you sell more services and repairs to mobile customers. It’s no secret that service retention is critical to dealership profitability. In turn, being able to provide enhanced customer service experiences will help generate long-term loyalty and customer revenue. VenueVision’s autoTEXT is an innovative text messaging tool for the automotive industry. Simplifying communication with customers and shortening the vehicle repair cycle, autoTEXT can increase your service department’s profitability and enhances your overall customer service experiences. And when combined with real-time DMS Integration it can be even more powerful. It can save your service advisor time as it allows them to pull up customer information details. The Dynamic Repair Status Link, unique to autoTEXT, provides your customers a direct real-time link to the repair status of their vehicle. Integration provides the ability to automatically text your customers at certain intervals throughout the service repair process. autoTEXT makes sure nothing is ever forgotten or overlooked. And with instant desktop and email alert notifications, your team will know immediately when a customer messages your dealership so you will never miss a message. Send automatic, personalized text messages to remind your customers about their upcoming service appointments, seasonal specials or manufacturer recalls. And that’s just ten of the benefits and features! To see how autoTEXT can benefit your dealership, schedule an online demo today.